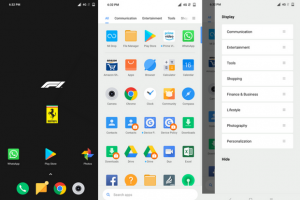 Poco F1 is the latest Xiaomi phone right now and Poco f1 launcher is out now and you can customize your android with this Poco launcher apk. Poco launcher Application is for all Android devices. Poco F1 comes with its own MIUI like skin. Poco F1 launcher is official but if you try to download it from play store then it shows unreleased so you have to download the launcher from our given link. First of all POCO Launcher comes with many latest features and also with many new customizations to your MIUI. 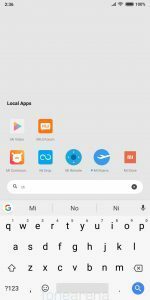 Many new features are there and in MIUI you are not getting app drawer which you will get in the latest POCO f1 launcher. This launcher will make your device more convenient and will make your device easy to use. Categorised Apps – In this launcher, you will get a category option in the app drawer and that will give your device a different look and also you can find any app instantly because you can categorize apps according to you. Eay customize categories according to your choice and use. Search Option – You can easily search any installed app from application drawer it is more convenient than finding any app by scrolling. Just click the search option and type the app name which you want to search and if the app is installed then it will appear on the screen. New App Drawer – Means you can scroll down to manage apps rather than changing different screens. 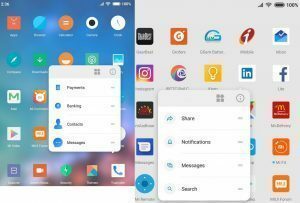 Simply swipe up and open the application using app drawer present in POCO launcher. This app drawer will give your device a new look and feel, easy to browse through different applications. Change Icon Pack – In this launcher, you will get a direct option for changing icon packs and you can easily change icon pack from there. 3D Touch – Now you can enjoy 3d touch in any android device, Install POCO launcher on any android device then simply long press any application to customize without opening it. 3D touch was first introduced by APPLE but now you can use this feature in POCO launcher. 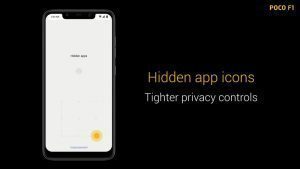 Hidden App Icons – You can hide app icons from app drawer so if you want to hide an application then you do that, this feature will provide you with more privacy. This feature is a most popular feature of MIUI 10 and now you can use this feature in any android device. 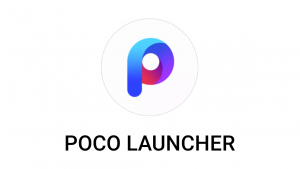 Download the poco launcher apk first. Then after that install the apk in your android phone. After that open application and choose default launcher. Then give the required permissions. After that choose the wallpaper. This launcher is great and efficient for battery usage, i personally prefer to install this launcher and enjoy the latest features. Previous Article [Gcam]How to Download and Install Gcam In Xiaomi Devices. Next Article [Vince] Red Wolf Recovery[RWRP] TWRP for Redmi 5 Plus/Note 5.